Over time your carpets can lose their shape. 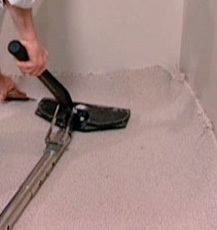 If the carpet has not been installed properly, you can develop ripples or buckled areas. We will power stretch to restore the carpet back to its original shape. If your carpet or rug should start to tear (from pets or other reasons) or have loose seams, Unique can again restore it back to its original beauty! Once Unique comes in to restretch your carpets – they will stay that way forever!